This saturday may 12th is the next one,it should be great with nice weather! Whos going? Ill be there and taking some stuff to sell. See you there,bmx sells real good there,i see lots of museum members buying and selling there. It is time again,tomorrow june 9th,lots of bmx stuff there. I will be there tomorrow 7-14,got a KOS Kruiser frame and a 86 PK Ripper F&F I will be selling.July 14th see you there! Good turn out,stoked with what i got today in trade for my KOS frame and unknown fork. 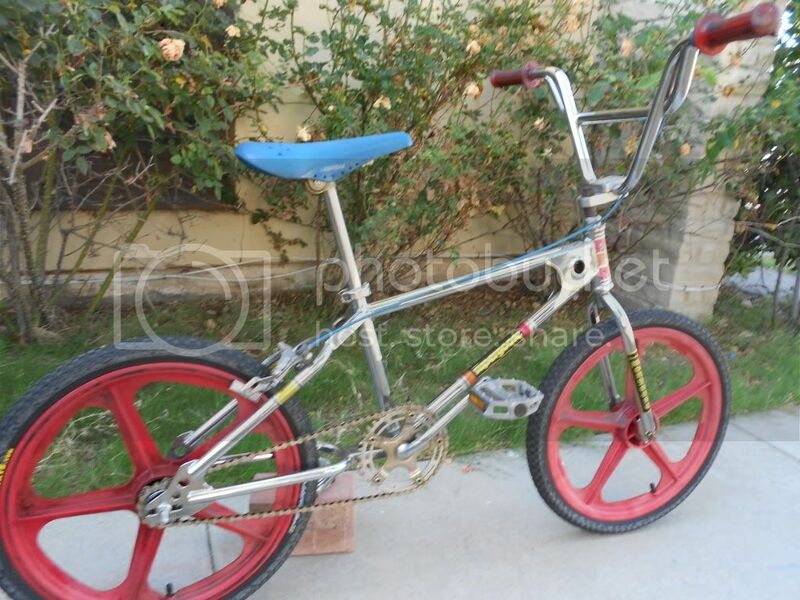 Here is what i got,a 1982 Mongoose Supergoose in trade for my KOS Kruiser frame,forks,sprocket and mongoose stamped opc cranks.It was a nice swapmeet every space was full of sellers. 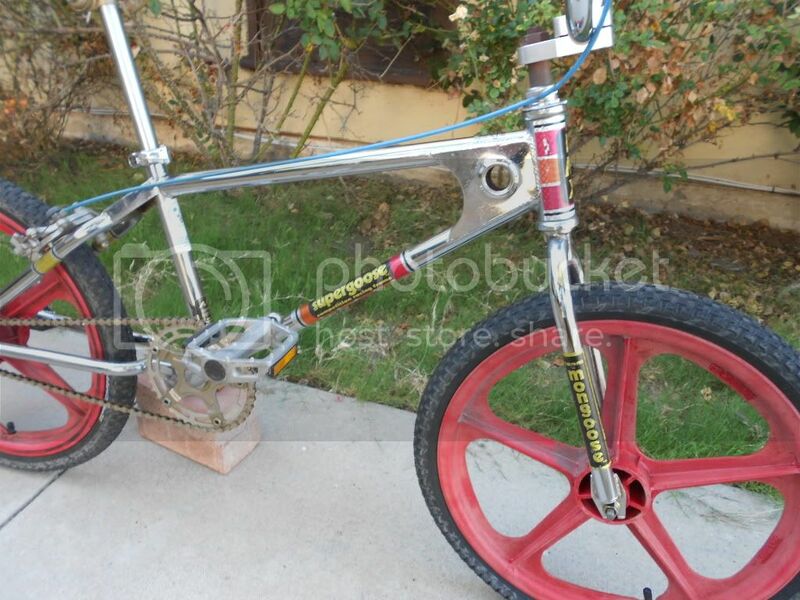 Nice grab jeff is the bar have stamp D lmk if you parts them out..
Yep,since i allready have the TWO SIX,so i passed it on to a good guy out there and the Supergoose has og chrome and decals with great parts. Idid not see a stamp,where should it be on the bars? Thanks stinger for posting up the sale. Today was a very hot day & I guess that's a good reason for a few vendors not showing up, oh & the big Mexico vs Brazil gm was aother reason but sales were good. Hey the redline you had today was a very nice one, to bad no big ballers showed up, I'm sure you'll sell it soon. GLWS. Well the month came by quick & the sale is here this Sat. the 8th, so bmxnewb be ready so you don't miss out this time around. how do i get a spot to sell? do i have to reserve it? just show up, no reserve needed.. plenty of space available..
Can someone list the cost per single & double spots? Thanks! What are you charging per parking space? How much for 1 space? How much for 2? I'll definetly be there tomorrow! Matter of fact I'll be parked at the church by 6am!.. Got work at 3, and daughter's 1st soccer game at 11 am so I'll be there to sell, and pickup a few chains or 2! I'll be hand carrying my stuff around to sell! Hope to see Most of you there that I remembered talking to from the Source, which was waaaayyy long time ago.. lol! You guy's know who you are. Sorry wrong quote above, Forgive me..